Oiiii..tudo certo por aí ???!!! Bom....Alguns metros de lona de algodão foram parar nas minhas mãos e sem ter onde guardar tanto pano, eu e minha cunhada Bela resolvemos fazer umas bolsas. E até que o pessoal gostou !!!! 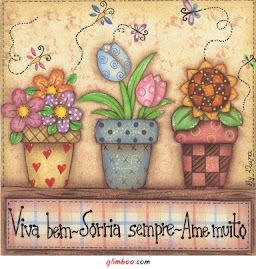 Beijim e boa semana pra todos nós !!! OI!!!! Dá pra fazer um PAP ? Adorei a bolsa!!!!! Beijinhos! The worthiness associated with Chanel totes runs out of your reduced 100s numerous 1000 bucks and are also offered to obtain as well as on the internet locations internationally. chanel replica handbags Chanel bags tend to be made out of the most effective leathers, silks as well as materials therefore, the high quality is actually returned atl separation and divorce legal professionals Chanel claws tote. Chanel totes tend to be flexible and can proceed nearly everywhere. fake hermes The actual Chanel Classic Cavier Ladies handbag is amongst the Chanel bags within the reduce price range, replica watches uk however which provides exactly the same high quality as well as design specific for that marketplace. rolex replica This particular unique Chanel claws tote can be utilised throughout the morning or even nightime; it's produced from the softest leather-based utilizing a secure concerning precious metal series. rolex replica Associated with program, it's inner is actually rubber stamped with the Chanel symbol.